CBOD identified what it calls covert subsidies, unfair competition and biased access to storage facilities as well as abuse of common infrastructure as some of the said activities. Senyo Hosi, Chief Executive Officer (CEO) of CBOD raised the concerns in the 2016 report of the Chamber. GH¢100m covert subsidies for BOST. He explained that the Bulk Oil Storage and Transportation Company (BOST) margin accrues about GH¢100m a year. In addition, he said allocations of GH¢60million every quarter by the Ministry of Finance from the price stabilisation and recovery levy under the guise of strategic stocks, have provided indirect subsidies for BOST to translate into low pricing for Go-Energy/GOIL. In effect, he stated that this is a subsidisation of GOIL prices through BOST because the same is not available to the private sector and is designed to suppress pump prices at the expense of the private sector, and fair competitive practices in the economy. “Explanations justifying the payments from the Price Stabilisation Recovery levy (PSRL) under the guise of strategic stocks is totally moot. “BOST has stated in many of its presentations that it is running an open account trading arrangement with its suppliers and takes pride in its ability to trade without funding from government. This has been a well-known fact and flies in the face of assertions that government is investing in strategic stocks. “These payments help subsidise GOIL indirectly against the private sector,” he added. Senyo Hosi revealed that an analysis of the pricing offered by BOST reveals a major discrimination in pricing against the private BDCs and in favour of Go-Energy/GOIL. “In most cases, private BDCs and OMCs must operate at break-even or economic losses to be able to compete with GOIL. “GOIL, on the other hand, being a beneficiary of the scheme, continues to post profits unmatched in the industry,” he stated. Senyo Hosi observed that traditionally, government participation in the trading activities of the industry had been limited to the commercial activity of Tema Oil Refinery and GOIL while BOST served as a provider of the infrastructural backbone for the industry and was expected to hold strategic stocks. “Policy, however, changed with government opting to galvanise the activities of GOIL, Go-Energy, BOST and TOR in an alliance hoping to yield synergies that will make government the most dominant player in the market. “It was the thinking of Government of Ghana (GoG) officials that the private sector had gained too much control over the downstream oil sector. “The first move by GoG was to actively participate at every level of the supply chain through refining-importing-storage-distribution-retailing. “With refining filled by TOR, retailing by GOIL, distribution by Go-Energy, Storage by BOST, importing remained unfilled. “The import could have been undertaken by Go-Energy as a BDC but government opted to have BOST play the role for strategic reasons which may not hold for a publicly listed company like GOIL/GO-Energy,” he added. Senyo Hosi stated that it became normal for TOR to abuse its influence over the use of the Ghana Ports and Harbours Authority (GPHA) oil Jetty as against the open access rule. He said BDCs on scheduled laycans are forced out of berth for TOR vessels or frustrated in their efforts to discharge their cargo. In presentations, the last MD of TOR/BOST indicated steps he was taking to leverage its new control of the All Buoy Berth (ABB) to restrict 50% usage to BOST and TOR. This in effect forces 50% of the trade to BOST/TOR at the expense of the private sector. These arbitrary acts are a clear abuse of public power and frustrate private investments in the sector. The cumulative effect of the actions of GoG has been one aimed at suppressing the private sector. This only nurtures an environment for political patronage and rent-seeking. 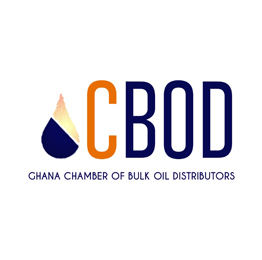 The CEO of CBOD noted that the role of BOST to import and trade as an Oil Trading Company (OTC) made it a player and a referee – a key provider of services and infrastructure support – at the same time. Consequently, it has since been unable to provide fair services to industry. He expressed worry about how government uses its infrastructural capacity and Zonalisation policy to reduce competition, compelling BDCs to procure products from it as against the BDCs trading their own products. According to him, the use of BOST facilities have been biased against private sector importers. • The non-adherence to the open access system for operating zonalisation. • The deprivation of access to products within the entire BOST system after delivery of products into its Accra Plains Depot (APD). This in effect forces the private sector out of the non-shore market zones to buy from BOST as against trading its own products. • Restricting some gantry usage for Go-Energy and the few private players who may have procured products from BOST. This causes longer queuing and inconveniences for BDCs stocking their own imported products with BOST. Clearly this was aimed at discouraging private players from importing and rather wholly depending on BOST. It was also aimed at giving GOIL a better leverage in the supply chain to out-compete the private OMCs. The above situation frustrated the smooth implementation of the zonalisation policy.